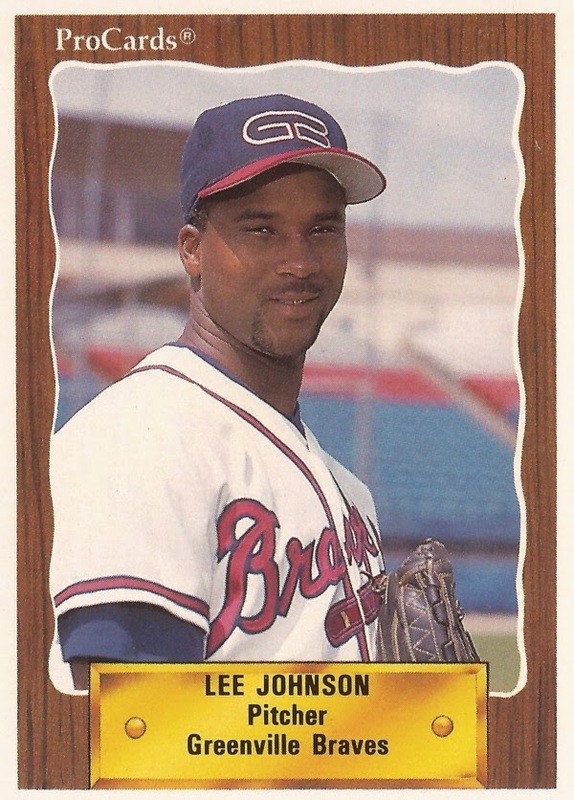 Lee Johnson went deep into this August 1990 game and he pitched well. He also didn't get the win. Johnson made it into the sixth inning for high-A Durham while giving up no more than one run. The game, though, went into the eighth tied at 1. Johnson's Bulls went on to take the victory, but one of his relievers took the win, according to The Newport News Daily Press. Johnson was in his fourth professional season that year. He went on to get into two more. He never made AAA. Johnson's career began in 1986, taken by the Mets in the 34th round of the draft out of Beaumont High School in St. Louis. Johnson played his first season at rookie Kingsport. The hurler got into 18 games, starting seven. He had a 3.58 ERA. It was his only season in the Mets organization. He played 1987 with unaffiliated Batavia in the New York-Penn League. He went 1-7, with a 4.67 ERA in 12 starts. Johnson then isn't credited as playing in 1988. For 1989, he returned to the field with the White Sox organization at single-A South Bend. He went 5-0 there, with a 1.48 ERA over 13 outings, four starts. He played 1990 in the Braves system, then 1991 in the Astros organization. With the Braves, he split time between AA Greenville and high-A Durham. He went 4-8 overall in 38 outings, 13 starts. He had a 3.51 ERA. With the Astros, Johnson played at high-A Osceola. He had four wins over 34 relief outings. He had a 2.37 ERA, giving up two of those earned runs in an April game. It was his final year in affiliated ball. He returned for one more season in 1994 at independent Marshall of the North Central League. He went 4-5 in 19 outings, one start. He had a 5.25 ERA. It was his final season as a pro.